This bug gets its name from its huge proboscis (nose). The young ones, pictured, excrete a waxy, cottony substance as a defense against birds, who don’t like the texture. 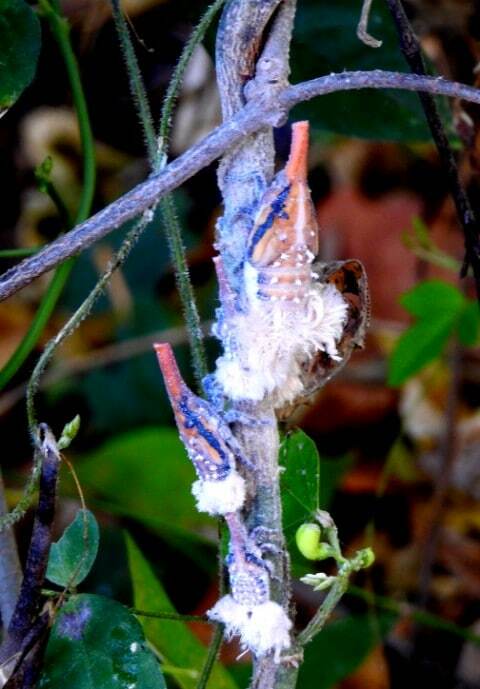 At about three months, they become adults — and much tastier, because they stop producing “cotton.” Instead, they develop mottled wings that serve to camouflage them. They keep the awesome red nose.